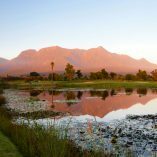 This 10 day guided golf and safari tour includes two of the Western Cape’s famous golfing regions: Cape Town and the Garden Route. 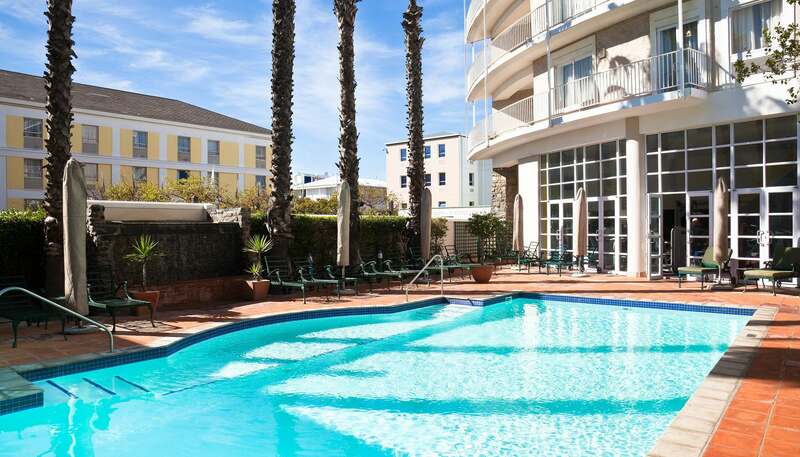 Stay 4 nights at The Commodore Hotel, located at the V&A Waterfront, and visit some of Cape Town’s famous landmarks. 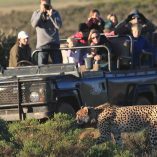 Travel to the Garden Route where you’ll first experience a night in the wilderness at the Garden Route Game Lodge and embark on sunset and sunrise game drives. 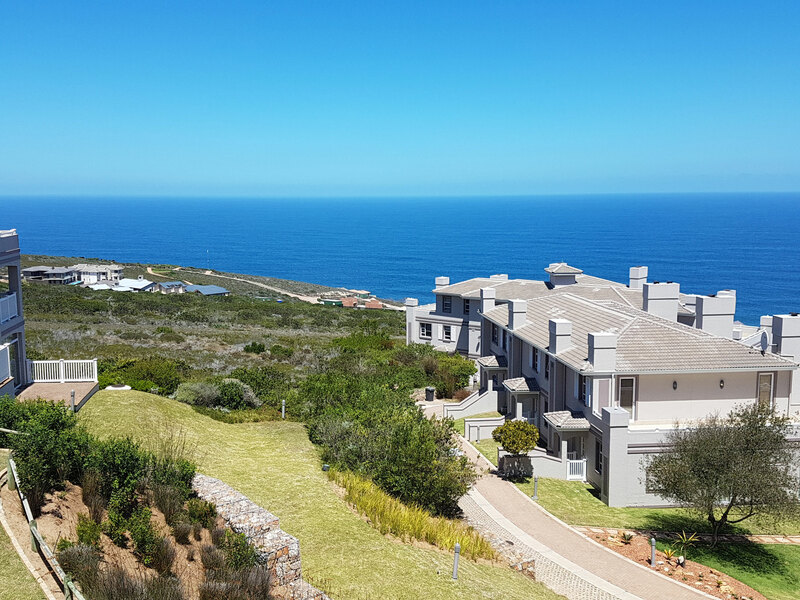 After safari you’ll stay 4 nights at Pinnacle Point Golf Resort in the comfort of your own golf villa. 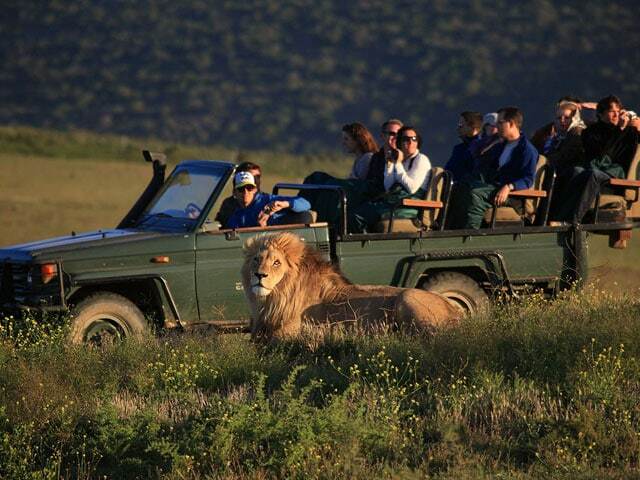 All your private tours and transfers are included. Your tour guide will not only be doing the driving for you, but will also assist with all your restaurant bookings, arranging porters at the hotels and caddies at the golf courses if you prefer not to use golf carts. 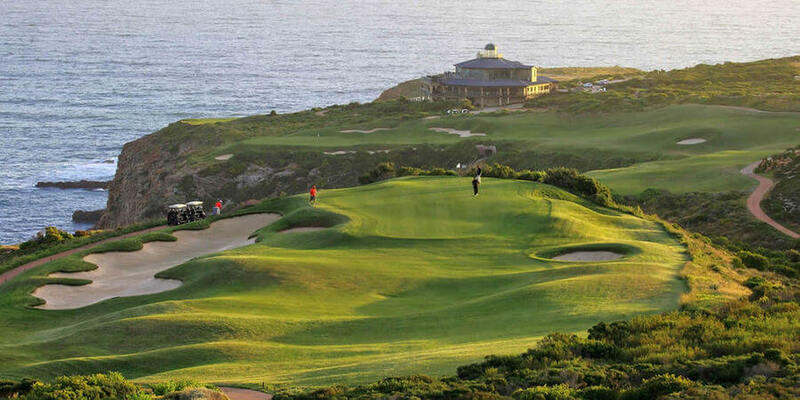 Play rounds of golf at Royal Cape, Westlake, Pinnacle Point and George golf courses. Arrive at Cape Town International and collect your luggage. 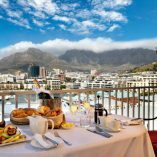 A Golf 2 Africa Guide will welcome you in the arrivals hall and transfer you in comfort to The Commodore Hotel, V&A Waterfront. Check in and spend the remainder of the day at leisure beside the pool or explore the Waterfront with your guide. 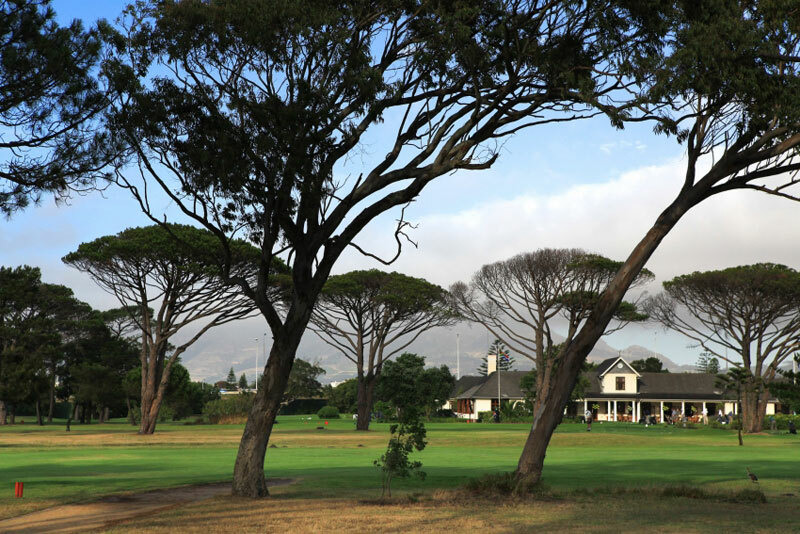 Enjoy breakfast and meet your guide at reception for your transfer to the Royal Cape Golf Course. 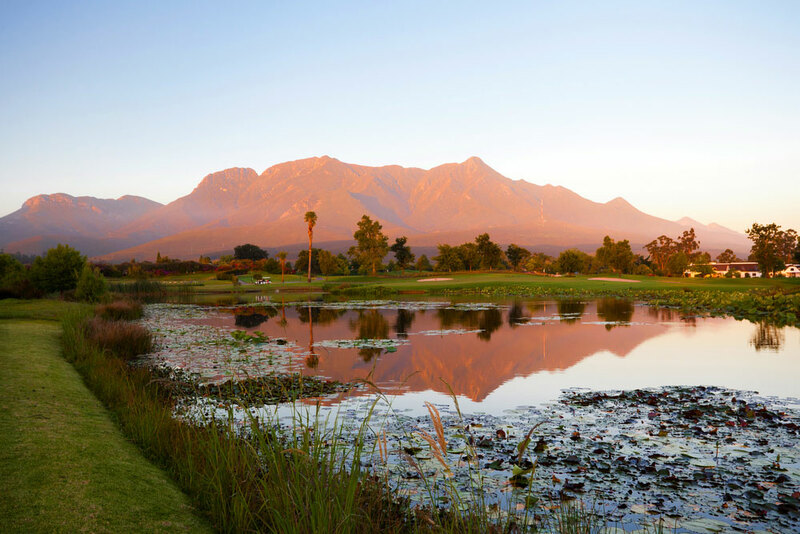 Play a round at South Africa’s oldest golf course and proud host of 10 SA Opens. The course, founded by British General Sir Henry Torrens in 1885, was designed by Dr Charles Molteno Murray and is a fine test of golf, worthy of its championship rating. 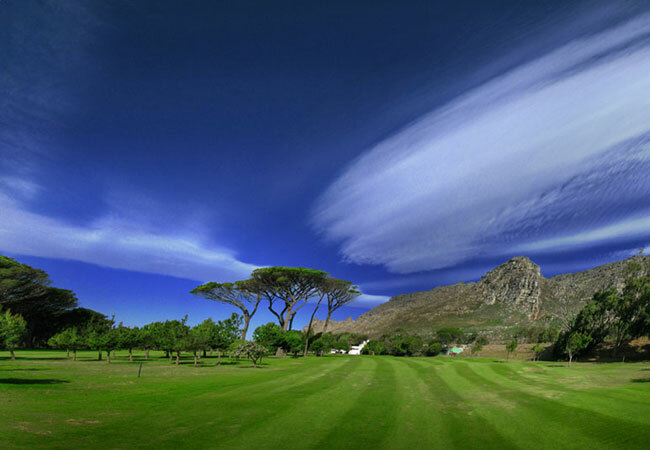 After golf you’ll visit some of Cape Town’s famous landmarks on a short guided tour. 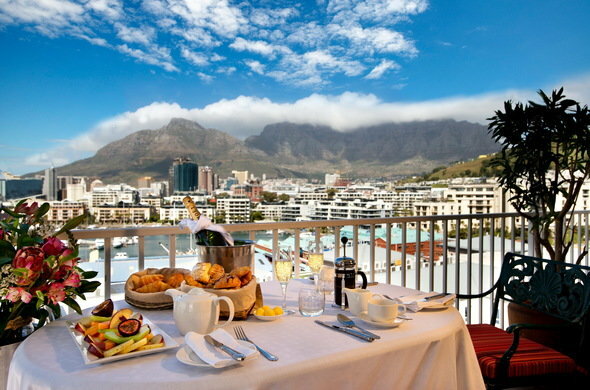 After breakfast you’ll head out on a full day tour of Cape Town. 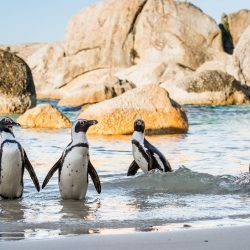 Visit some of the city’s word renowned tourist attractions, including Table Mountain, the penguins at Boulders Beach and the Castle of Good Hope. Return to the hotel before dinner. Tee off at Westlake Golf Course after breakfast. 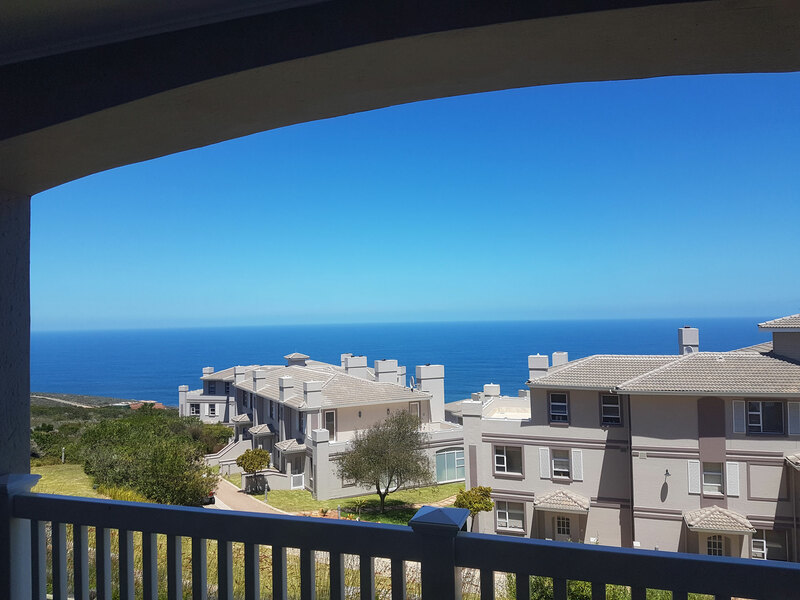 Established in 1932, Westlake offers breathtaking panoramic views of the Cape Peninsula Mountains. 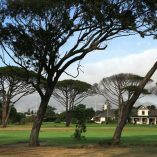 This well manicured parkland layout is recognised as being the best winter course in the Cape, famous for its gentle slopes allowing the rainwater to drain. 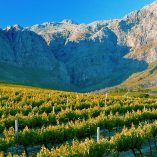 After golf you’ll visit some of Cape Town’s landmarks on a short guided tour. 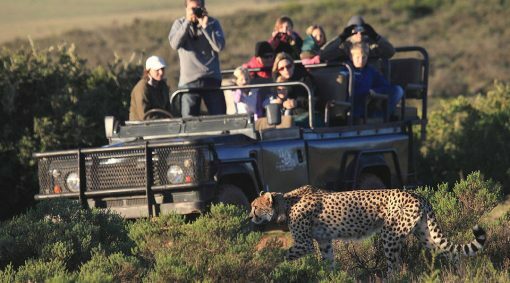 Check out after breakfast and meet your guide at reception for your transfer to the Garden Route Game Lodge. We’ll stop over at some interesting sites along the way. 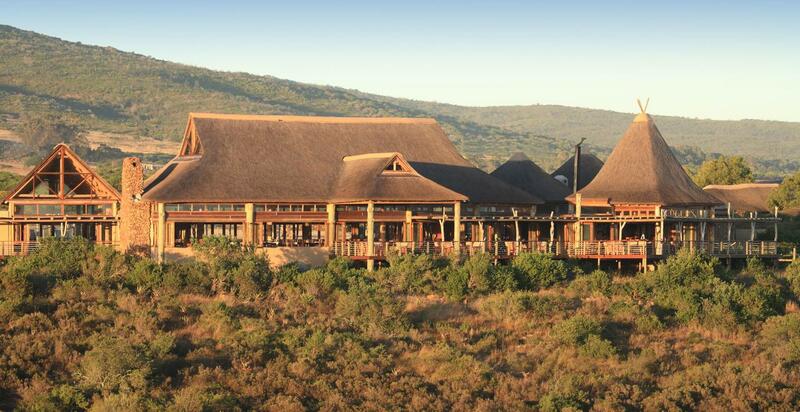 Check in at the lodge and go on a sunset game drive with an experienced game ranger. Return to the lodge and freshen up before dinner. 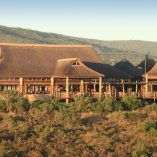 All meals and safaris are included during your stay at Garden Route Game Lodge. Early morning wake up call. 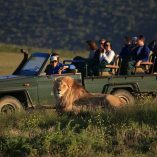 Embark on a thrilling sunrise game drive in an open 4×4 safari vehicle with your experienced game ranger who will bring you sightings of lion, elephant, white rhino, buffalo and cheetah. Return to the lodge for breakfast and check out. 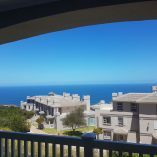 Transfer to Pinnacle Point Golf Resort. 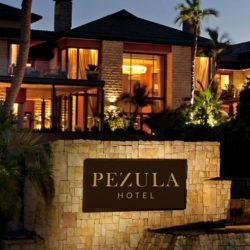 Check in and spend the remainder of the day relaxing at your own golf villa. 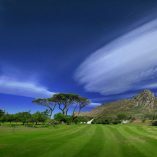 Play a morning round at Pinnacle Point Golf Course. 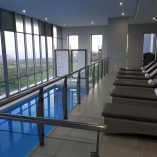 The course is an immaculate eighteen hole championship golf course, co-designed by renowned golf architect Peter Matkovich and professional golfer Darren Clarke. 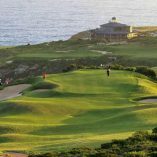 Stretching along four kilometres of spectacular coastline, the course boasts dramatic cliff-side holes and over 1000 acres of unspoiled beachfront. 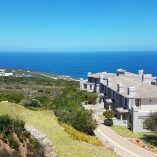 Visit the historic town of Mossel Bay on a guided tour after golf. Full day guided tour of the Garden Route. 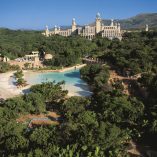 Today we’ll head over the majestic Outeniqua Pass and visit the historic town of Oudtshoorn, the Cango Caves and an ostrich farm. 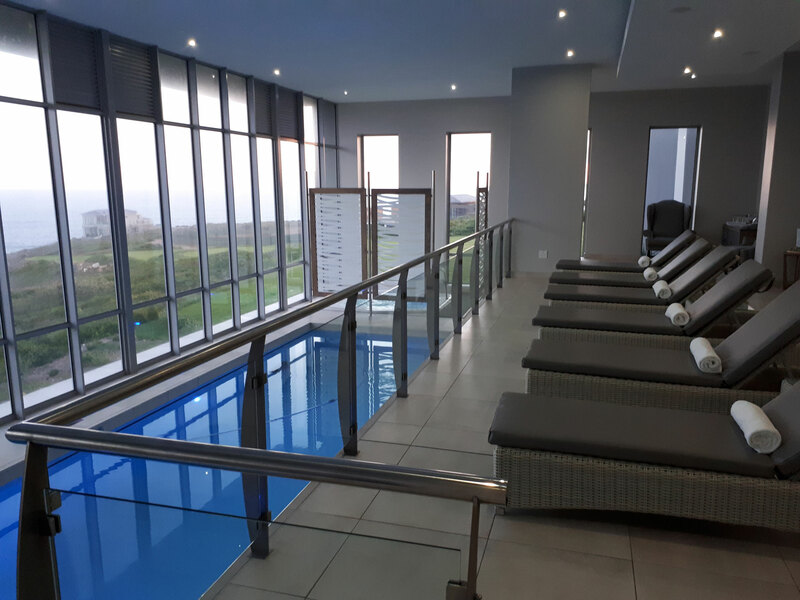 Return to Pinnacle Point and spend the evening at leisure. Head to George Golf Course for a morning round of golf. 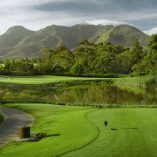 Nestled in the foothills of the magnificent Outeniqua Mountains, George Golf Club is among the oldest courses in the country and has for many years maintained a worthy rating amongst the top 20 golf courses in South Africa. 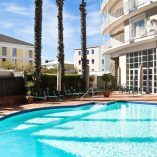 Check out after breakfast and morning at leisure. 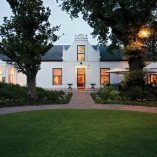 Your guide will transfer you to George Airport, where you’ll board the short flight back to Cape Town. Upon arrival you’ll collect your luggage and check in for your international flight back home.